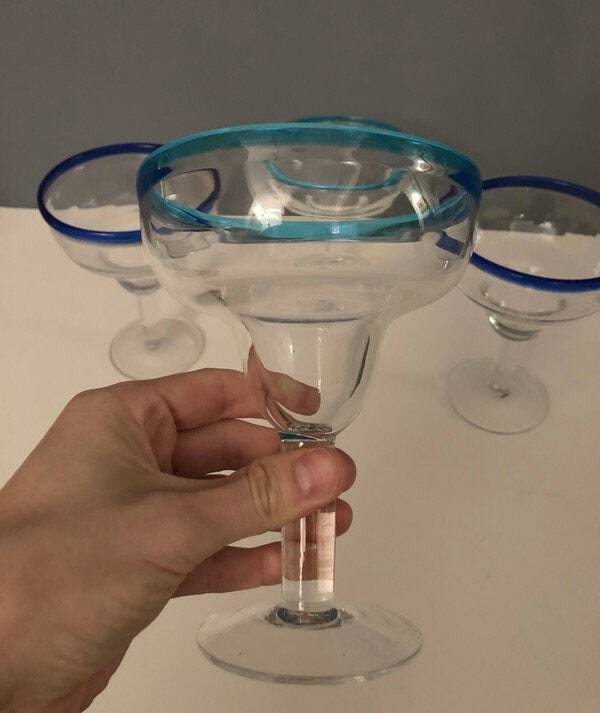 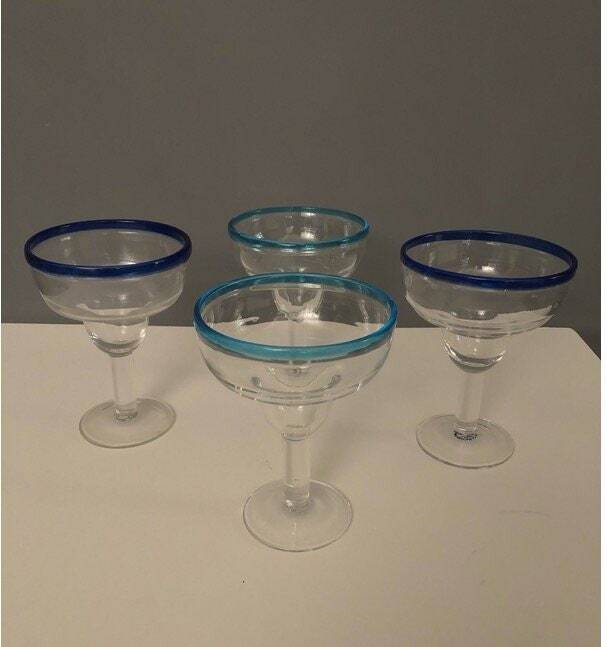 Stunning Mid Century Set of Four Cocktail Glasses with blue trim. 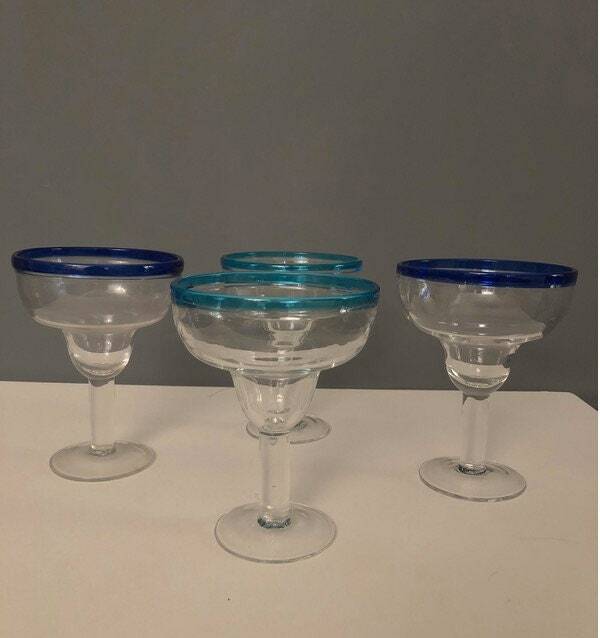 Handblown 1970’s. 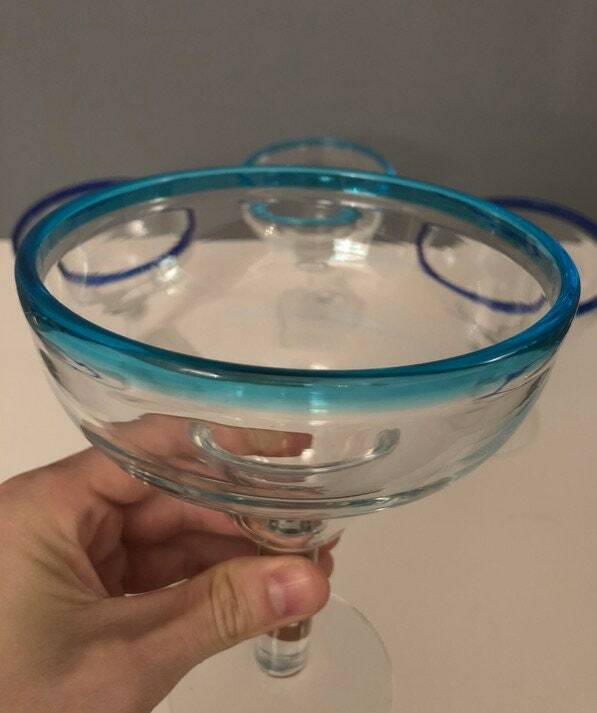 Very good condition no chips.